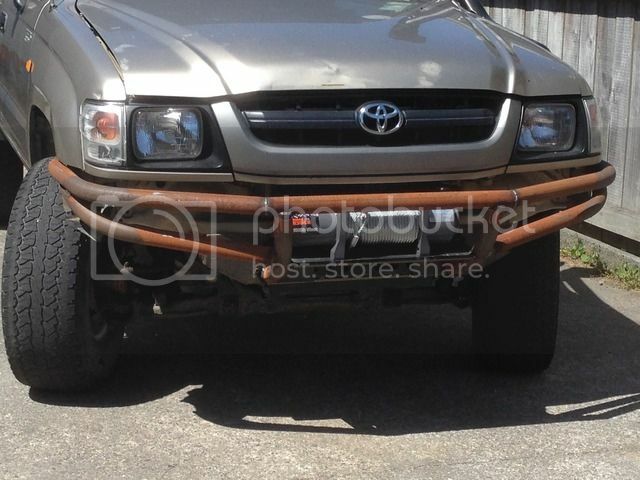 Over this last weekend I figured I would have a crack at a tube bar on the hilux. Got the winch in there and bent some tube up. By no means is it finished but I like the way it's coming along. Still have to think about attaching skid plate, spottys and aerial mounts then it's off to blast and paint. Looking good, just wondering, how did you go about bending the pipe for the wings? Also, what thickness was the pipe you made it from. Hey mate. Tube is 4 mm wall seamed. Was bent with a bramly hydraulic bender.